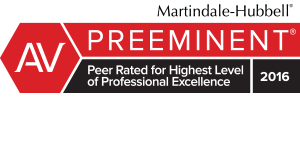 Thomas D. Wolfe has been an AV Preeminent rated attorney for the last fifteen years which is the highest rating given by Martindale Hubbell, a nationally renowned lawyer rating service with his practice concentration in family law. 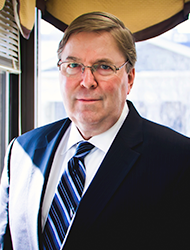 For more than thirty years, Mr. Wolfe has been assisting clients to navigate their way through family law matters. A recipient of the 2015 10 Best Client Satisfaction Award from the American Institute of Family Law Attorneys, Mr. Wolfe believes each client needs to feel that he or she has a strong advocate for his or her cause. A former partner in a mid-size Baltimore law firm before starting his own firm in Towson in 1996, Mr. Wolfe has a wealth of experience in the area of Family Law. With a Bachelors Degree in Business from the University of Maryland and a J.D. Degree from the University of Baltimore, Mr. Wolfe clerked for a Circuit Court Judge before becoming an associate in a boutique family law firm in Baltimore City. He later became a partner in the law firm of Kaplan, Heyman, Greenberg, Engelman & Belgrad, P.A. in Baltimore City during which time he was the Chairman of the Family Law Committee of the Bar Association for Baltimore City. In 1996 he moved his practice to Towson, Maryland where he has practiced for the last twenty years serving clients in Baltimore County, Baltimore City and the surrounding counties. In addition to practice in the trial courts, Mr. Wolfe also has experience in the appellate courts of Maryland and has the landmark case in Maryland on joint custody – Taylor v. Taylor, 306 Md. 290 (1986). Mr. Wolfe has lectured extensively on family law topics in continuing legal education programs both sponsored by the Bar Association as well as by the National Business Institute and has served as an expert witness. In addition to his extensive trial experience, Mr. Wolfe, who has completed extensive mediation training, also serves as a mediator of family law matters. Although 95% or more of his practice is in the family law area, he also has experience and success in other civil litigation matters having received a Two Million One Hundred Thousand Dollar ($2,100,000.00) verdict and judgment for a client in a civil jury trial.